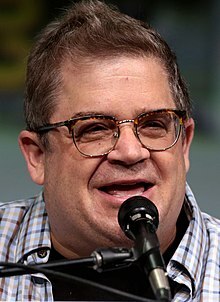 Patton Peter Oswalt (born January 27, 1969) is an American staund-up comedian, actor, vyce actor an writer, kent for roles sic as Spencer Olchin in the sitcom The King of Queens (1998–2007), vycin Remy in the film Ratatouille (2007), playin multiple identical brithers, the Koenigs, on Agents of S.H.I.E.L.D. (2014–17), an male Jesse in baith series o Minecraft: Story Mode. This page wis last eeditit on 28 Apryle 2018, at 02:20.